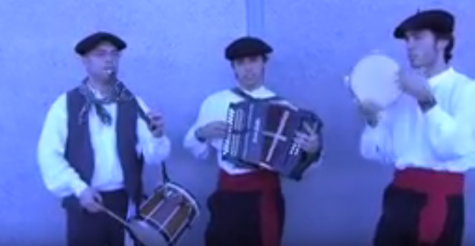 Basque celebrations typically feature lively musical performances, but the number of musicians in attendance for the Euskal Etxeko Jaialdia in South San Francisco and the 50th anniversary of the Chino Basque Club was exceptional. At least 28 Basque Country musicians, from three different groups, were showcased during these two California celebrations. Leire Agirre sings some classic Basque dance tunes. 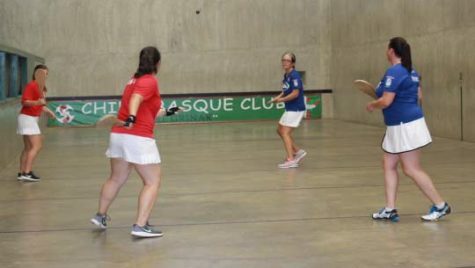 The Basque Country musicians began their visits in South San Francisco, for the Euskal Etxeko Jaialdia, a two-day festival that began on August 25. 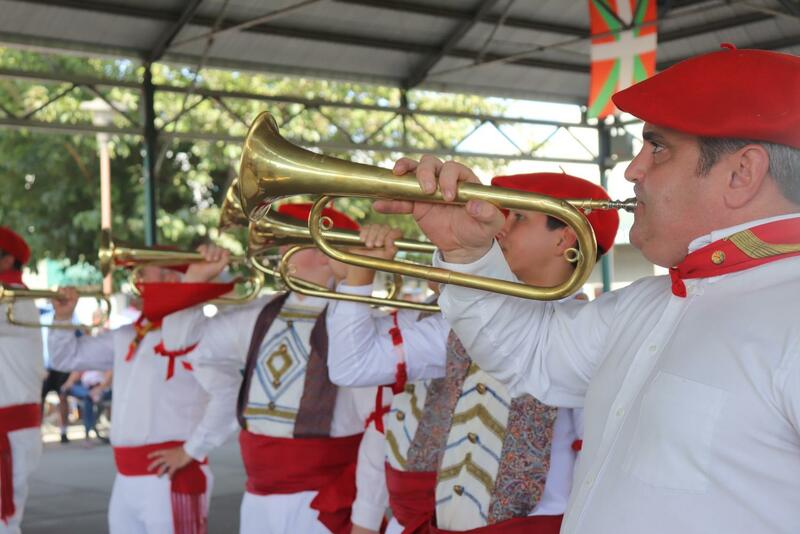 The musicians then traveled south, stopping along the way to perform for the Basque community in Bakersfield. 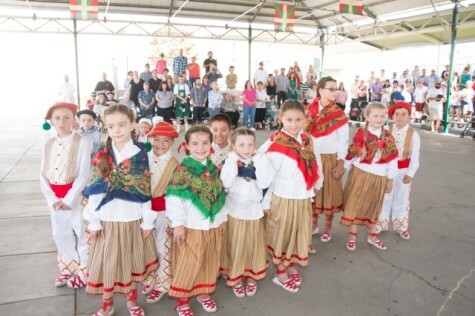 In Chino, the Labor Day weekend of Basque festivities kicked off on Saturday evening, Sept. 1, at the Chino Basque Club. Dancers and musicians took part in a parade on the street in front of the clubhouse, which had been closed off for the event. The musicians included 22 members of the Aldudeko Klika, the bugle and drum corps from the small town of Aldude in Baxe Nafarroa. That evening, after dinner, Basque Country folk singer Pantxoa Carrere sang many well-loved songs at the club. Carrere, who performed for many years with Peio Ospital, was making his first local solo appearance. He was joined by a four-piece band, which included accordionist Iñaki Dieguez, a talented musician with numerous jazz CDs under his belt. Txema Garces was on bass, Joxerra Mitxelena was on guitar and Joseba Loinaz on keyboard. Dieguez said they all also perform with different groups but regularly play with Pantxoa. 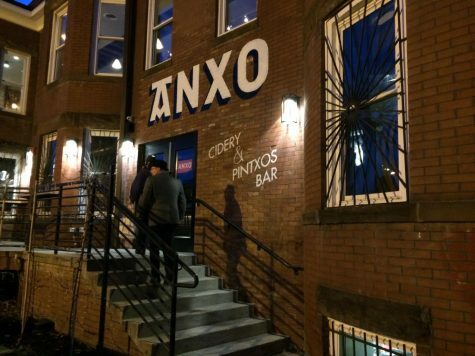 As Pantxoa sang, he was frequently accompanied by an audience that knew the words to many of his songs, including hits from many years ago when he was still part of the duo Peio eta Pantxoa. While he was singing, he called up another Basque Country singer Michel Etcheverry from the audience to join him for a song. Etcheverry later told Euskal Kazeta that he just happened to be in the Los Angeles area on vacation. Etcheverry has also performed at the Chino Basque Club in the past. 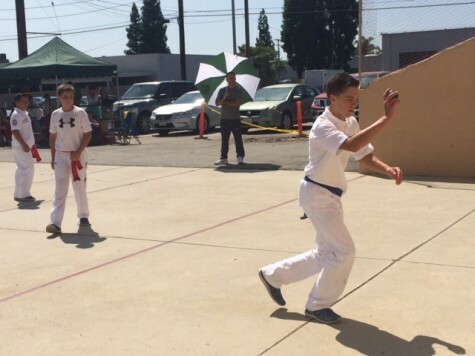 On Sunday, the Aldudeko Klika joined many local klika players from Chino and Bakersfield for the annual Chino Basque Festival at the Chino Fairgrounds. The klika members played for the crowds before and after the mass, and later during the afternoon dance and music performances. Klikas are bugle and drum corps that developed in the French Basque region. 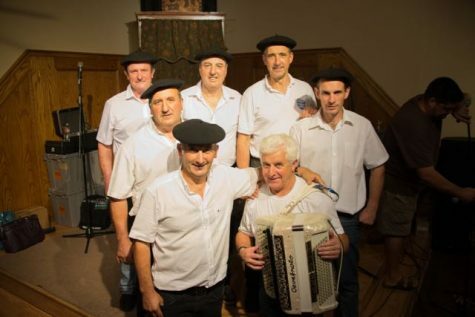 As historian John Ysursa noted during the afternoon show, Basques doing their military service in France were often assumed to know how to play music and they were recruited to play in the army bands. They would often go back to their towns and create klikas. 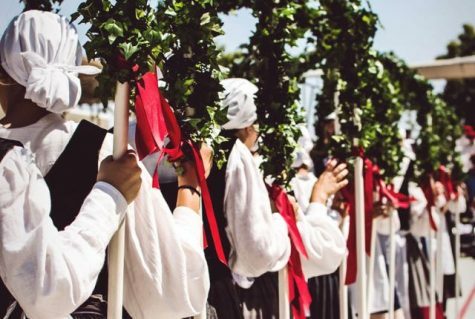 They brought that tradition with them when Basques immigrated to the American West. 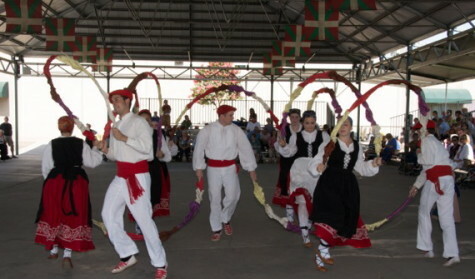 The San Francisco, Bakersfield and Chino Basque communities, which were mostly populated by French Basques, all have klikas. 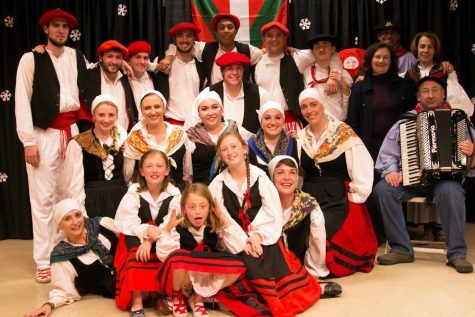 Many of the Aldudeko klika members have relatives in the United States and were interested in visiting the U.S. Basque community. 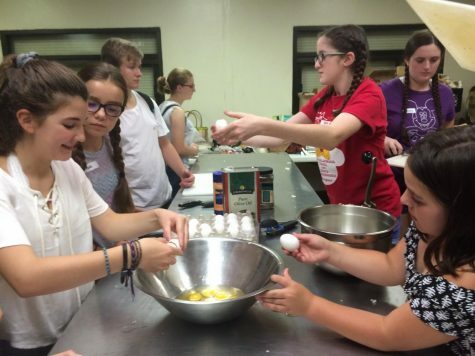 “We’ve been planning the trip for two years,” said French horn player Christine Legarra. According to klika member Peio Ardantz, probably every family in Aldude has at least one family member or more who has immigrated to the U.S. “The families had many kids, they lived on farms, and they didn’t have the ability to feed all the children,” he explained about the large exodus from the small rural town. Several Basque Americans from the San Francisco area and Bakersfield came to the Chino festival because of the visiting Aldudeko Klika. “The klika was like a magnet that brought everyone together,” said Pierre Igoa who drove from Bakersfield to see his cousin in the klika. Franxoa Bidaurreta and his wife came from Petaluma because his brother, Ferdinand Bidaurreta, was part of the group. And Kathy Panza drove from La Habra to attend the Chino Basque Festival for the first time, because a cousin she had never met, Guy Saldubehere, was with the klika. Klika members said a Basque man had made the trip from Chicago to California to see them. The klika, which includes bugles, French horns, cymbals, tambours and drums, celebrated its 100th anniversary last year in Aldude. 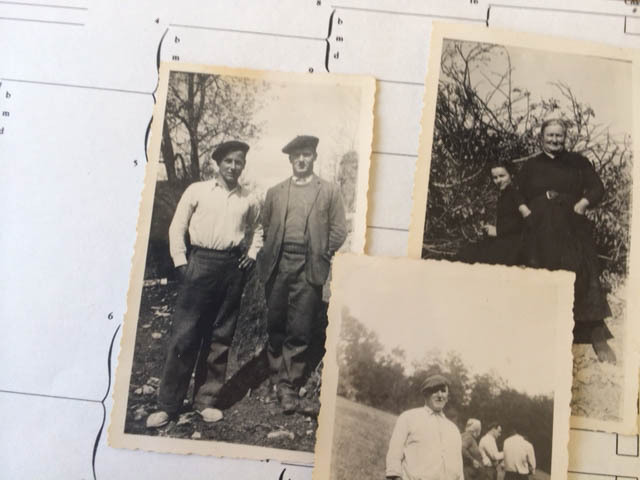 The group found some old photos of klika players that included 1914 election references, leading them to believe that their group had started around that time. 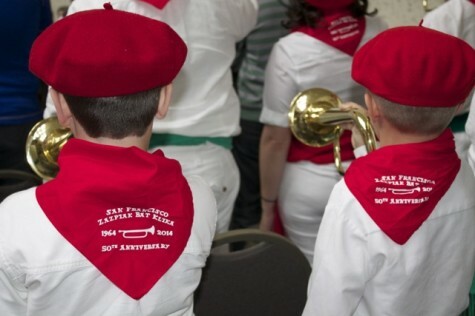 The music which is always plentiful at Basque celebrations does not sidestep anyone. Even older men will often sing at their tables after a meal. This day was no exception. During lunch, Michel Etcheverry joined a few local Chino men in singing a few songs. The Basque-American band Amerikanuak is frequently scheduled to play for parties, but not this time. Nevertheless, several of its members – Igoa, Jean Flesher and JP Etchechury — couldn’t stay away from the plethora of music. “My best friends are here,” said Etchechury. During the dinner break, a group of four young men, three from Spain and one from Peru, piled out of a small car at the Chino festival and threw on colorful medieval capes. They were “La Tuna,” a Spanish traditional student group of musicians. They strolled through the Basque festival, busking — playing a few tunes and collecting money in a hat. They didn’t stay long, but they added another element to the musical mix. 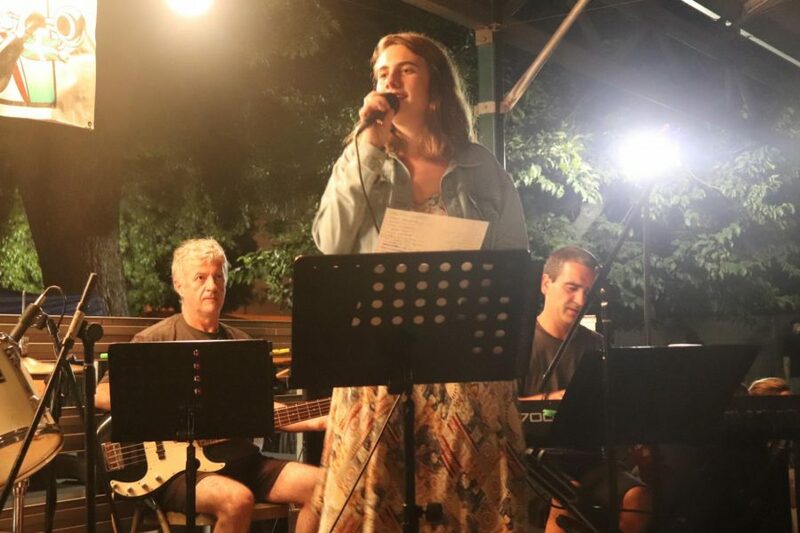 In the evening, Pantxoa’s back-up band, reorganized as Ibarla Taldea with singer Leire Agirre, entertained for a festive dance party. The group played popular dance numbers such as Ryan’s polka, fandango and banakoa which brought out lots of young dancers. Chino drummer Denis Petrissans who plays for smaller local Basque events wanted to be part of the fun, so he asked if he could join in, and the group was happy to let him play with them. The music finally ended around midnight, a fitting culmination to an extraordinary day.